The Phillies are bringing former GM Ed Wade back into the organization. Wade was fired by the Astros after last season. Ed will re-join the Philadelphia Phillies as a special consultant to the baseball operations department. During his time as GM in Philadelphia, Wade acquired players such as Jim Thome, Shane Victorino and Billy Wagner. He was also at the helm when the Phillies drafted Chase Utley, Ryan Howard, Pat Burrell, Cole Hamels, Ryan Madson and Brett Myers. The Cancer Support Community of Philadelphia got permission to use a Jon Anderson song in their holiday greeting this year. Jon Anderson, the lead singer of the rock group Yes, provided the soundtrack for the organization’s 2011 electronic holiday card. 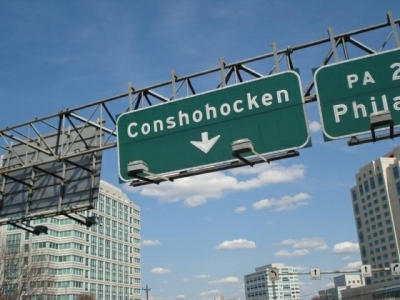 The Blue Route, I-476, Turns 20. The Philadelphia Eagles are still alive. Sitting at a record of 6 - 8, they still have a shot at the playoffs. Winning their last two regular season games, and many other scenario combinations are keeping them in the playoff hunt. The Eagles next test is in Dallas on Christmas Eve against the Cowboys. The NHL "Winter Classic" is just days away at Citizens Bank Park as the Flyers and Rangers face off. The good news: there are lots of tickets available. The bad news: be ready to spend a lot of money. StubHub says the current average for tickets it has actually sold is $512, with a range of $300 to $945. Pennsylvania Supreme Court Justice Ronald Castille today announced a major shakeup in the wake of what he says is corruption and ticket-fixing at Philadelphia Traffic Court. He has appointed Common Pleas Judge Gary Glazer, a former federal prosecutor of corruption cases, to take control of Traffic Court and oversee reforms. Glazer said the reform will be a real one and is stepping in to restore public confidence in the traffic court. Citizens Bank's plans to close nine Philadelphia-area branches and lay off 250 employees has been detailed in a recent filing. Citizens said it would be consolidating a Broomall location in the Acme Supermarket at 1991 Sproul Road into a branch in the Lawrence Park Shopping Center. It will also be consolidating its Flourtown site from 1461 Bethlehem Pike into a Bethlehem Pike and East Mill Road branch. The Philadelphia Business Journal reports the biggest excavation project in Philadelphia history is taking place in West Philadelphia. The Children's Hospital of Philadelphia is spending $150 million preparing part of the old Civic Center site for an outpatient-care center that will sit on top of a five-story underground parking garage. The pediatric medical center’s expansion plans for ambulatory care, however, extend far beyond the city. Eagles - Jets....Vick to Play! Andy Reid said he's confident Vick would start against the Jets Sunday even though Vick watched practice from the sideline this week. The Eagles are still clinging to playoff hopes despite a 5-8 record. They’ll need Vick to be sharp this week against one of the toughest defenses in the NFL.